Now looking back at this picture I now realize how much this color combo reminds me so much of cotton candy. I know initially when I chose the two colors I wasn't sure about how they were going to turn out. But that's what it's all about sometimes right? Trial and error. 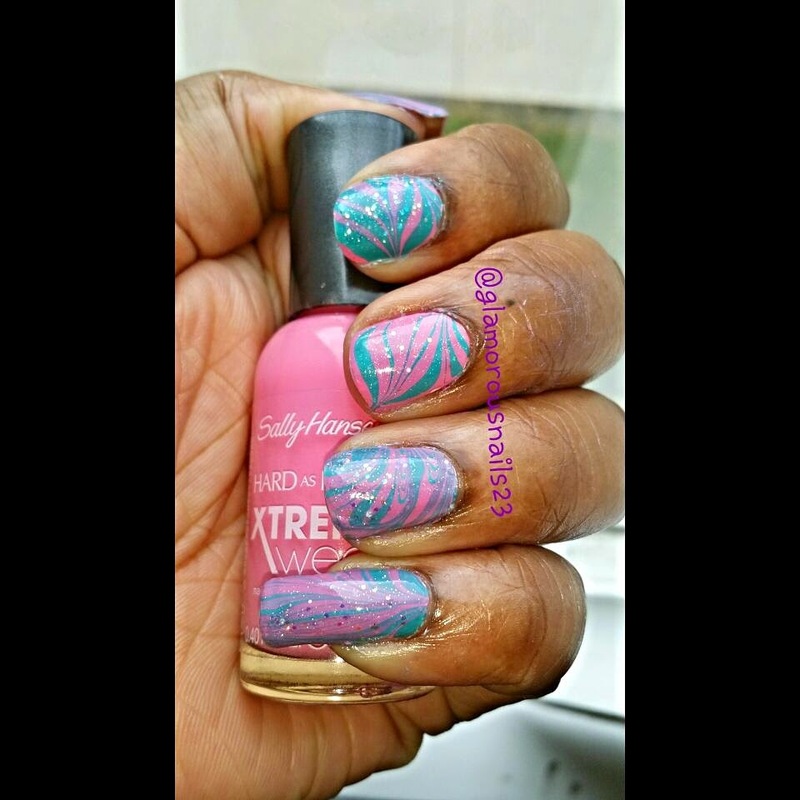 And yes of course it's another WATERMARBLE!!! !